For some of us, a couple of inches of snow makes for a lovely summer day. But for others who aren't used to the white stuff, it can wreak havoc on motorways and cause endless headaches. 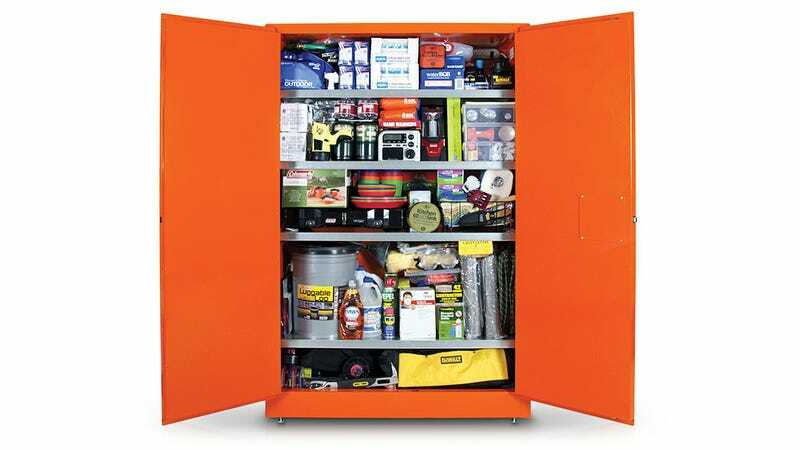 No matter what the emergency it's good to be prepared, and for the price of a small car, you can get everything you'd possibly need in one fell swoop with Wolfram's survival cabinet. It's expensive, for sure. But it takes the guesswork out of deciding what, exactly, you'd need to survive in an emergency by basically including everything—170 items in total, to be exact, which you can peruse in this inventory list.